Irrigation North Carolina: Is Your Water High-Quality H2O? The first thing you will want to test when determining your water’s quality is the pH. A pH test measures the concentration of Hydrogen ions in your specimen, determining whether your sample is acidic, neutral or alkaline. To perform this test, you will need a pH test kit that includes test strips and a chart with multi-colored, numbered boxes. Gently remove a test strip from the kit and hold it between your thumb and index finger. Position your hand above the sample and carefully dip the end of the test strip into the water. Remove the strip, and like magic, the end should be changing color. Grab your handy-dandy colored box chart thing, hold your test strip up to the chart and match the colors. Now, when it comes to pH, pure water is going to be neutral, also known as pH7, so that’s what we’re shootin’ for. On your colored chart, pH7 is orange. If your test paper is red, the water sample in front of you is probably battery acid. This is not high-quality H2O. If the paper is purple, your specimen is bleach. This is also not high-quality H2O. Remember when your mom told you not to eat yellow snow? The same applies for water. If your water is yellow, it is not high-quality H2O. Even if there is a slight yellow tint, it is still not high-quality H2O. The rule of thumb is: if your water is any one of the colors of the rainbow (including all shades/hues in between), dump it. This is not your award-winning water. To determine the color of your water, pour the specimen into a glass and place it on a flat surface. Blink several times, rapidly, to prepare your viewing instruments. Arrange your head so that it is eye-level with the glass and look at the water. It’s that simple.If you see any hint of color whatsoever, this is not the water to write home about. If no color is visible, there’s potential for an A-rating. Continue with the following tests to confirm. 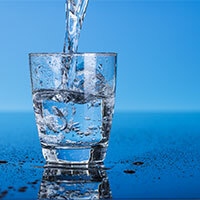 To test the clarity of your water, you are going to perform a test very similar to the one you used to examine the color, only with a slight variation. The specimen should be in a glass, on a flat surface and your head should again be eye-level with the glass. This time, though, place your left hand behind the glass. If you cannot see your hand through the water, the clarity of your water is very poor, and we’re sorry to inform you that this too is not high-quality H2O. If you can just barely make out the silhouette of your fingers on the opposite side of the glass, you guessed it—no awards to be won here. If, however, you can clearly distinguish every freckle on every finger, the clarity is top-notch and you should continue testing your water. Knowing where your water came from is an important point when determining its quality. If you collected your specimen out of the dog’s bowl or from a storm drain, your water is no good. Other sources of low-quality water include: puddles, standing ponds and public swimming pools. Come on now—water doesn’t expire. b.) The bottle your water is housed in has chemicals in it that are slowly breaking down and being released in your water. 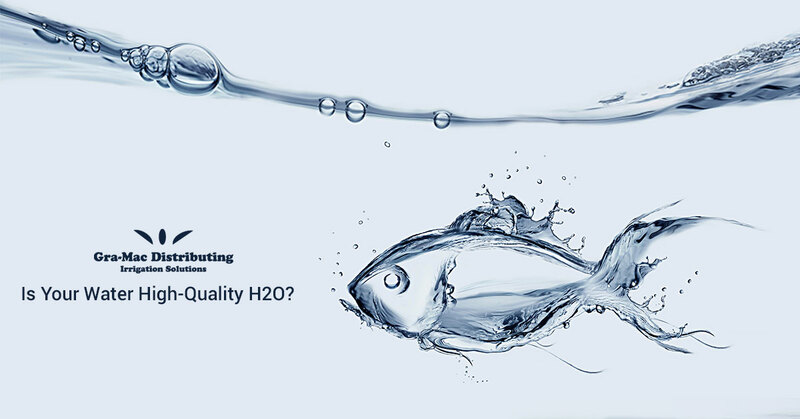 Either way, we don’t need to say it, but we will: Not high-quality H2O. Another thing you will want to examine is the smell of your water. If you have a cold, allergies or general stuffiness, wait until your nose is fully-functioning. First, cleanse your nasal-palate by hovering your nose over a can of coffee beans and inhaling vigorously. Mmm coffee. Next, you will want to situate your nose directly above your specimen—close enough to get a good smell in, but not too close as to inhale the sample. (If there are any traces of scented lipgloss or chapstick on the rim of the glass, your results will be skewed and it will be impossible to say with complete certainty that your water is high quality. So be very aware and conscious of your equipment and surroundings.) Okay, now that you have positioned your nose above the water, it’s time to smell. We recommend utilizing the following technique for optimal results: three short, quick sniffs followed by one long, drawn-out sniff followed by another two short, quick sniffs. If you answer anything other than, “Nothing,” your water is gross and subsequently, not high quality. For this test, you will need to cleanse your palate. To do this, consume several bland crackers and swish your mouth with tonic water. Taste that? The answer should be, “No.” You shouldn’t taste anything at all. Now you are ready to test the taste of your specimen. To test, draw a small amount of water into your mouth from a clean glass. Let the sample rest on your tongue, saturating your taste buds. Swirl it around in your mouth to get the overall “feel” of the water. Is it full-bodied? Smooth? Next throw your head back and gargle the test sample. Is it refreshing? Or does it stimulate your gag reflex? Last, spit out the sample to assess the aftertaste. Because personal preference varies, it’s completely up to you to decide whether your water tastes good enough to potentially be considered “high quality.” So be honest. If you cringe thinking about taking another sip, this is not a premier sample. 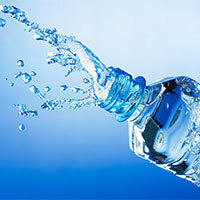 If your water sample has successfully passed all of the above tests, you have yourself a glass of high-quality H2O. Congratulations! We applaud you and invite you to check out our wide array of irrigation equipment! High-quality products for your high-quality water. Shop now!